Normal stool frequency ranges from three times per week to three times per day. Diarrhoea may be defined as an excess of stool being passed, usually accompanied by an increased frequency and liquidity of the stool. Diarrhoea may be accompanied by abdominal and rectal pain, urgency to go, and incontinence. If the diarrhoea is caused by food poisoning, there may be concomitant vomiting. The diarrhoeal stool is more liquid than usual, may contain more fats when caused by malabsorption (steatorrhoea) and may contain pus or blood in cases of bowel inflammation. Diarrhoea is usually acute or of short duration, although it can be chronic or long lasting. During the first three years of life the gut is in a stage of formation, and this is when Custom Probiotics Infant Probiotic can help. 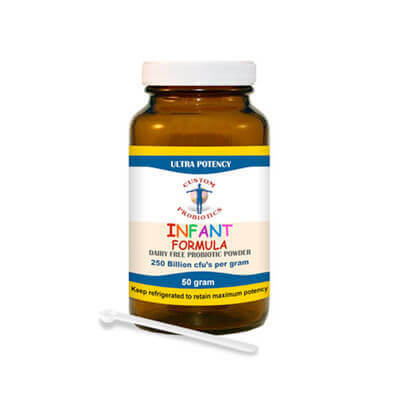 This Infant Probiotic formulation is an Acidophilus and Bifidum probiotic designed specifically for infants ages 1-4 to improve the intestinal microflora during this crucial growth stage. 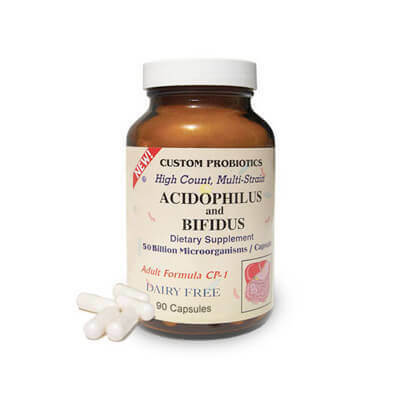 This is not an adult formulation that is said to be alright for infants, but a specifically designed Infant Probiotic. Lactase deficiency can be hereditary or acquired. Lactase is the enzyme that splits lactose, the milk sugar, into the absorbable monosaccharides glucose and galactose. Without lactase, lactose remains in the intestine, creating an osmotic load, meaning that more water remains in the intestine leading to watery stools. Other causes of this type of ‘osmotic load’ diarrhoea include artificial sweeteners such as sorbitol, and laxatives such as lactulose or magnesium sulphate. Malabsorption can cause steatorrhoea, which is increased fat content in the stools; this is usually identified by large pale floating stools with an unpleasant odour. 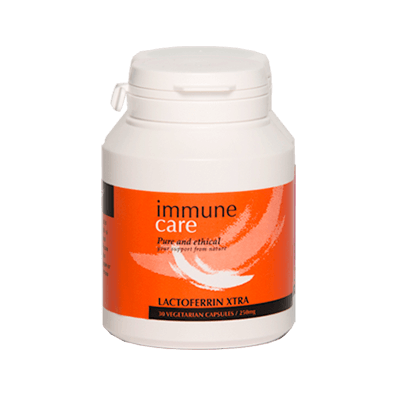 Damage to the intestinal lining, caused by bacterial or viral infection, or immune-mediated processes, causes an increase of fluid and inflammatory cells in the gut lumen. Excess mucus may be excreted along with other fluids. Pain and urgency often accompany inflammatory diarrhoea, and white blood cells and blood are often found in the stools. Dysentery and Inflammatory Bowel Disease (IBD) are common causes of this type of diarrhoea. Increased motility of the gut can increase the frequency of defecation, and in severe cases there may be a barrier to reabsorption of fluids from the stool, resulting in increased stool volume. This may occur with autonomic neuropathy in cases of diabetes mellitus. Most acute diarrhoea is acute and self-limiting due to bacterial or viral infection, and the diarrhoea is a defence mechanism to rid the body of the offending organism. In these cases, anti-diarrhoeal drugs should not be used. Treatment should be the administration of fluids and electrolytes. Specific causes of diarrhoea can be treated, for example with the use of antibiotics for bacterial infections in the intestines. 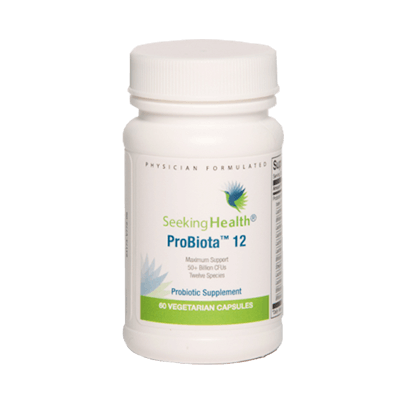 Probiotic bacteria and natural antibiotics such as Lactoferrin may also be considered. 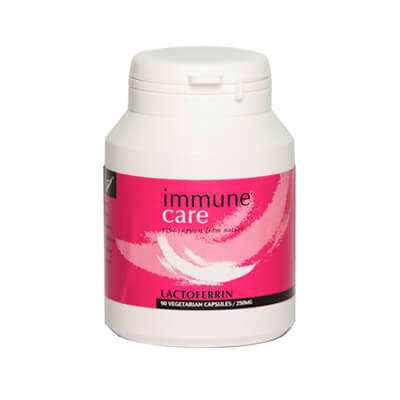 Lactose deficiency can easily be treated by the administration of lactase enzymes. In cases of Inflammatory Bowel Disease (IBD) steroid medications can reduce the flare-ups, and probiotic bacteria, particularly Bifidobacteria species, can help to keep post flare-up diarrhoea under control. Diarrhoea can be of sudden onset and lasting for less than four weeks (acute) or persistent (chronic). This leaflet deals with acute diarrhoea, which is common. In most cases, diarrhoea eases and goes within several days but sometimes takes longer. The main risk is lack of fluid in the body (dehydration). The main treatment is to have lots to drink, which aims to avoid dehydration. You should also eat as normally as possible.